You are currently browsing the category archive for the ‘2015 Fruit/Vegetable/Flower Gardens’ category. 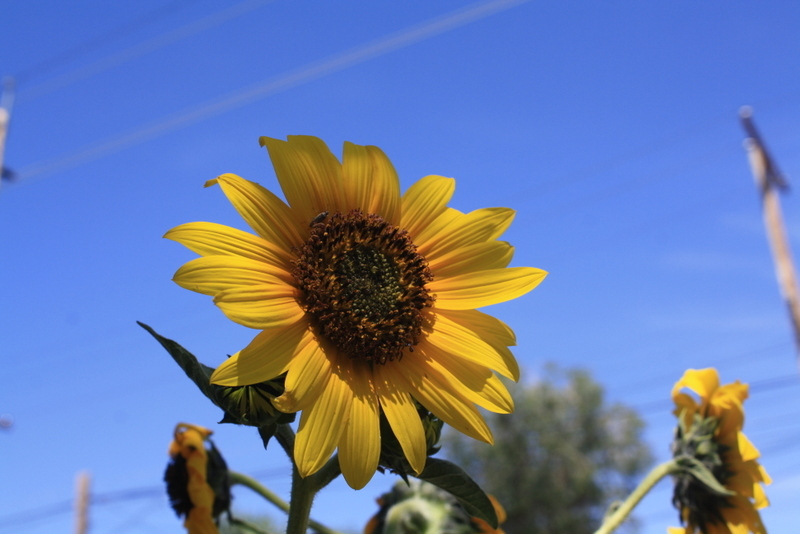 The plants would definitely prefer hotter temps and longer periods of sunshine. They’re tomatoes, after all. I’m interested to see if the fruits will ripen anyway. I’m encouraged that the plants are growing despite the poorer conditions. This has been one of my favorite plant experiments! I can’t wait to see what happens! Oh hey lookee, an actual post about plants! 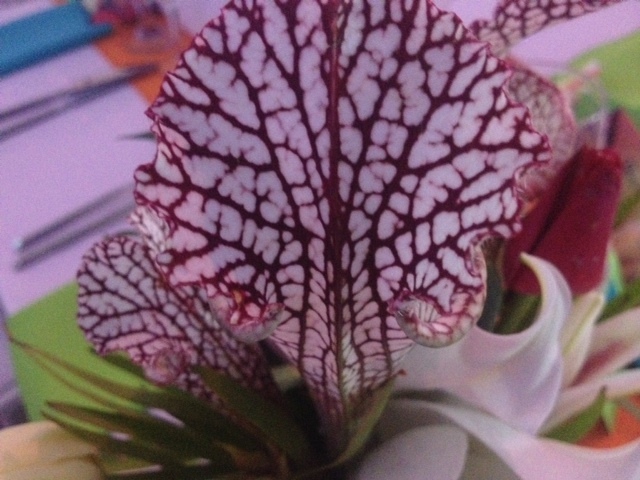 Imagine that – on a plant blog! 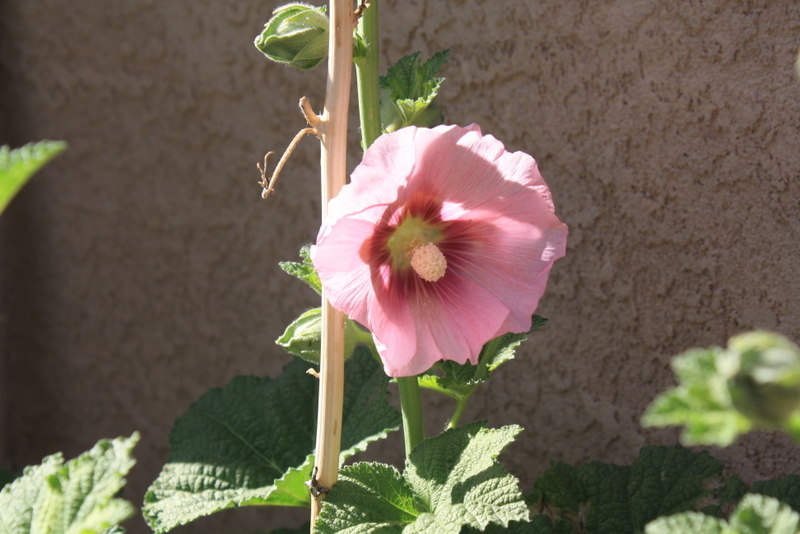 I’ve been doing some limited gardening, finally, now that it’s cooling off in Phoenix (cooling off means high 90s). I’m not sure how the plants will do, as this is my first time gardening in a low desert. But I figured I would try. It’s been oddly reassuring to do something so familiar in an unfamiliar place. While the flowers are pretty, I snipped them off because I’d like the plant to concentrate on growing leaves, not going to seed. 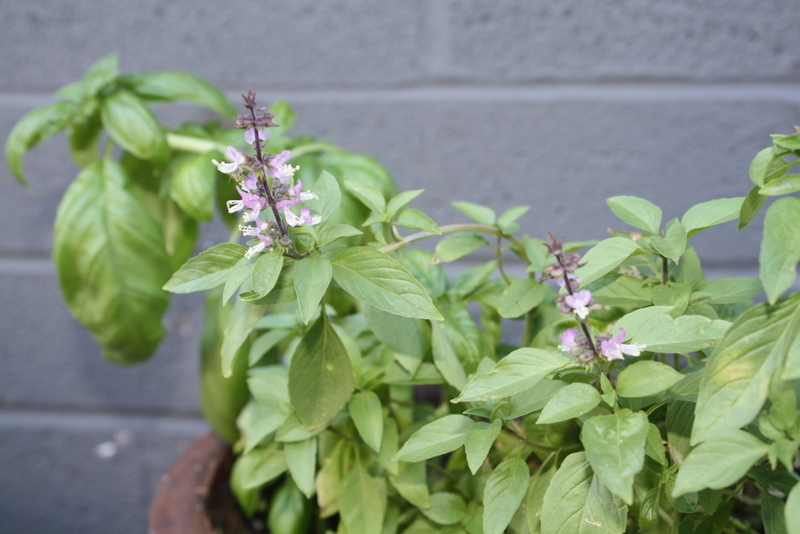 It’s too early in this venture to let the plant do what it wants to do – I’m the boss, haha! In the coming days, I’ll show you more of what I’ve been planting. Then soon – not to get everyone’s hopes up or anything – but sometime soon, there will actually be an Ask the Experts post and perhaps even a Plant Puzzler as well. I can’t say what day, as that will depend a lot on my schedule and Expert Dottie’s health. But it should be right around the corner. Because I have a fondness for soft petals on thorny plants. 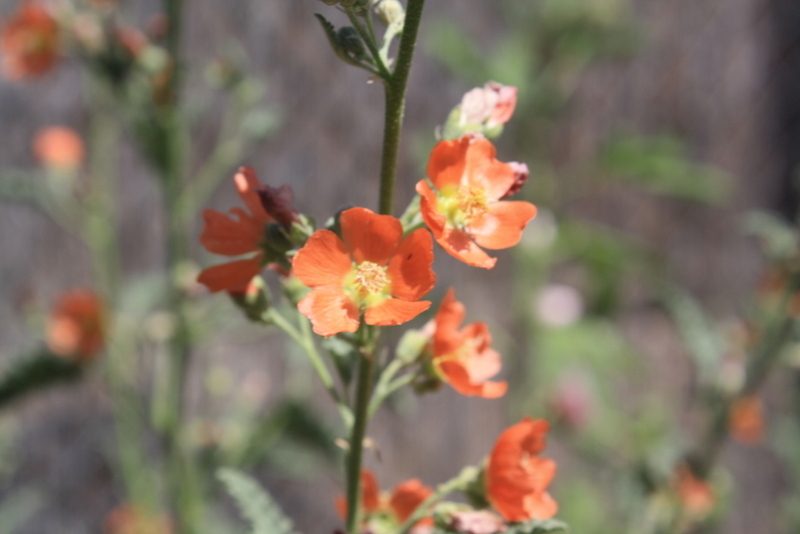 I know everyone in the world considers it a weed, but I have a soft spot for Globe Mallow. I mean, the flowers are adorable, right? 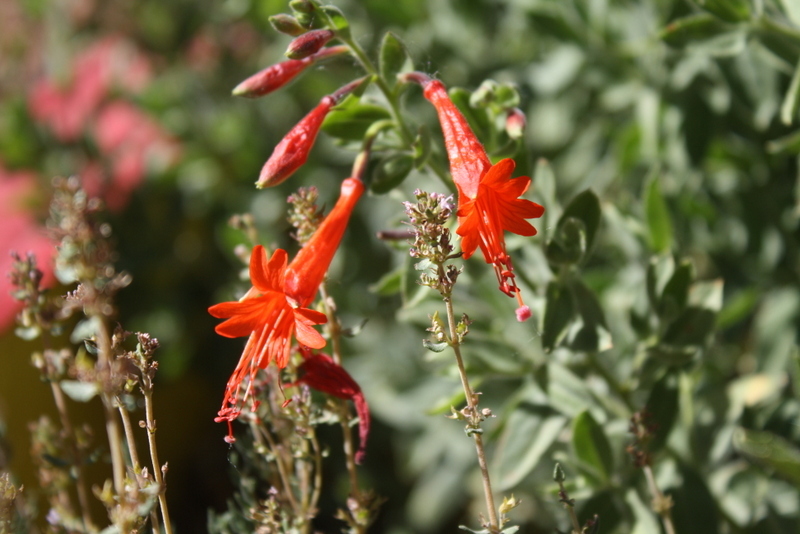 The California fuchsia is blooming already! She’s not supposed to bloom until the fall. But like last year, she couldn’t wait. Which means I’m in store for gorgeous blooms all summer long. The plant is Zauschneria or more technically speaking, Epilobium. It’s drought tolerant and grows in full sun. Pretty much maintenance free. People say the reason the plants bloom in the fall is to help the hummingbirds have extra food before they migrate south for the winter. 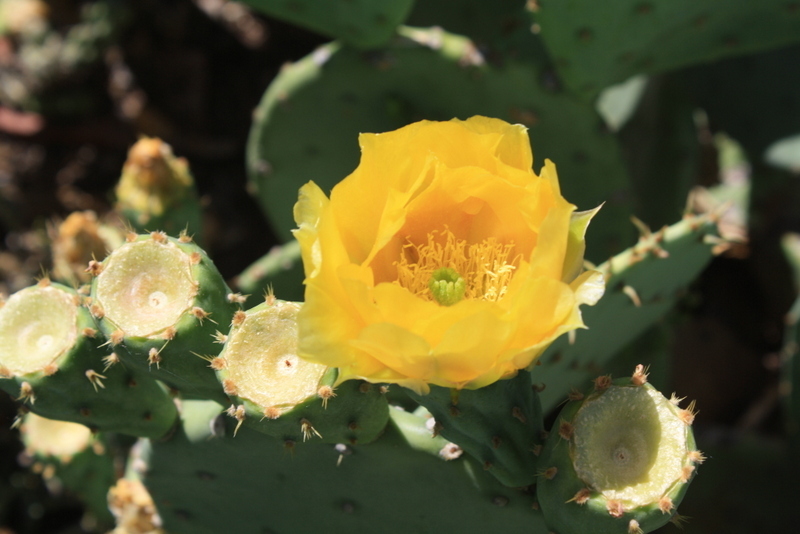 They are bird pollinated plants, as the tubular shape of the flowers is prohibitive to bees. I can attest to how much the hummingbirds love this plant. Maybe even more than I love this plant. Which is saying a lot!!!! 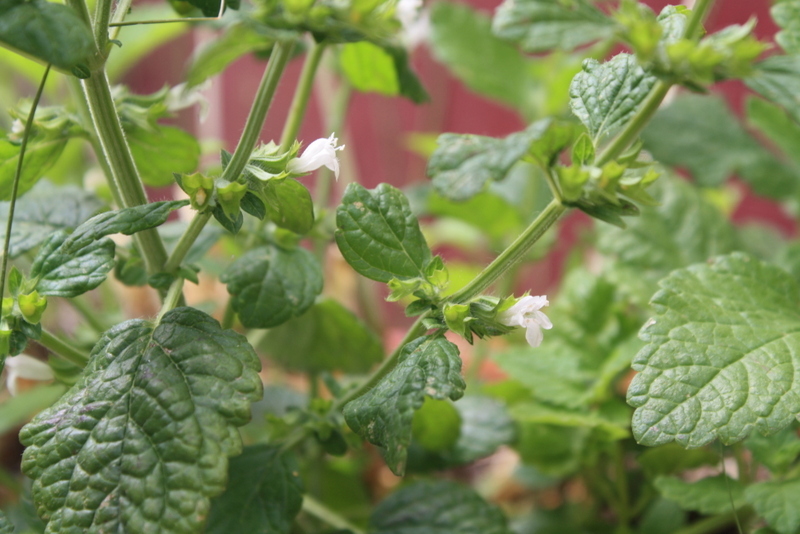 I’d never see lemon balm bloom before, so I was very intrigued when I noticed the plant beginning to change (the stems started getting taller, sortof like what basil and oregano do when they start to flower). Aaaand hard to see unless you get right up in the plant’s grill. Not a lot going on. No summer crops, for reasons that will become apparent later this month. 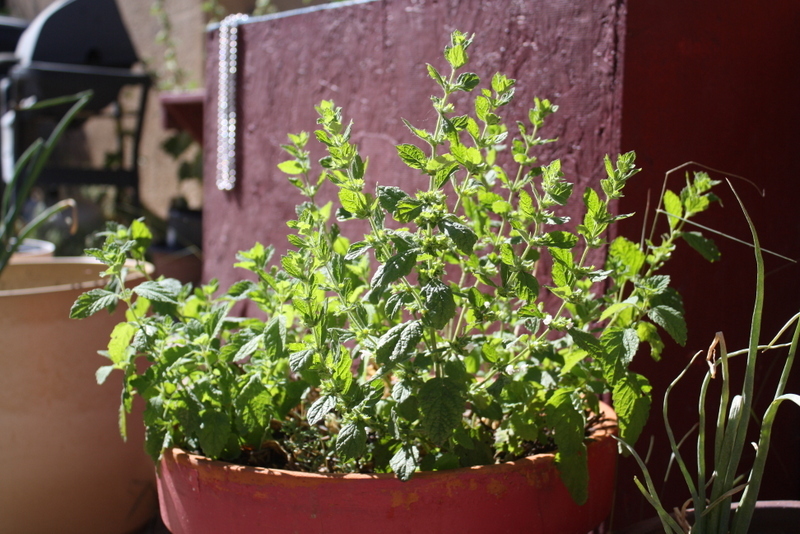 The maroon container has oregano (flowering), some garlic, chives, and some parsley. 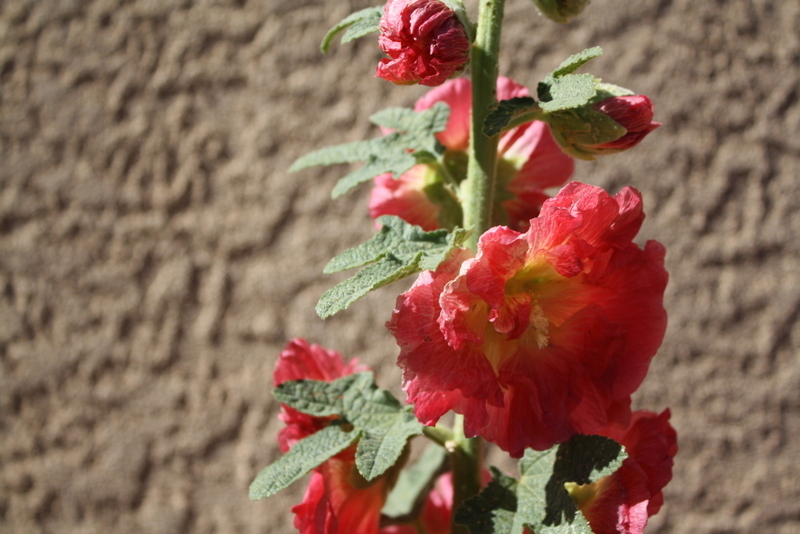 The orange one has Zauschneria, or California Fuchsia, which has already started blooming. It’s supposed to be a fall bloomer, but no one told the plant. 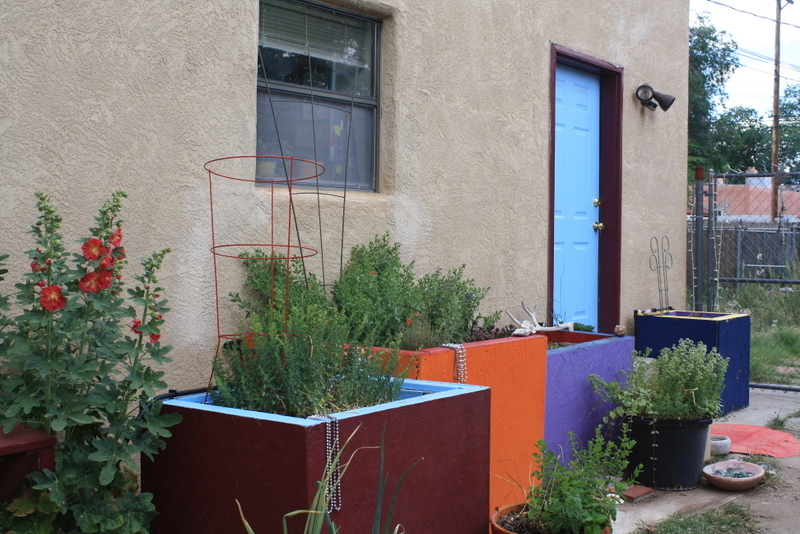 That container also has a blue Penstemon, thyme and some sedum. I thought I’d killed all the garlic by not watering it enough – I haven’t used the drip irrigation because the timer froze over the winter and I haven’t replaced it. 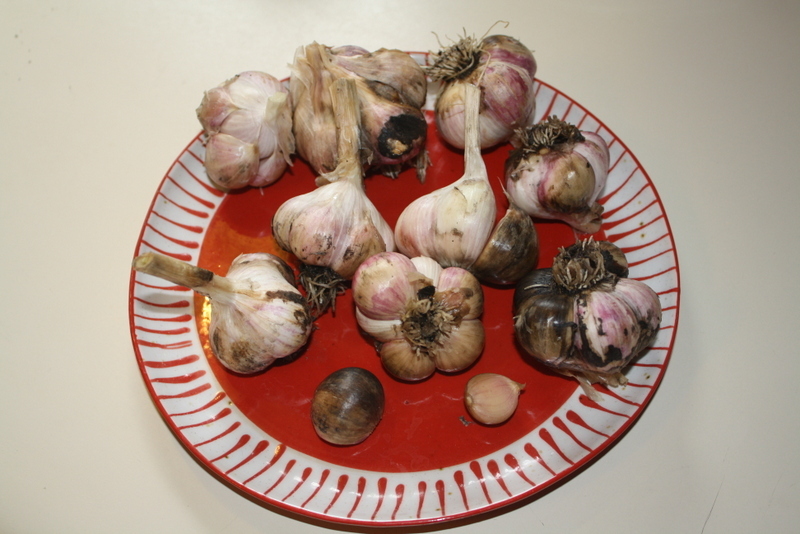 But when I went to pull the garlic, I found that there were some bulbs in the soil after all. So that was cool. Also pictured growing: Lemon balm and more oregano, vinca, hollyhocks, plus a handful of garlic shoots and onions. Seems strange not to have tomatoes and peppers growing, but that’s just how it’s working out this year. How about you? Is your summer garden in full swing?